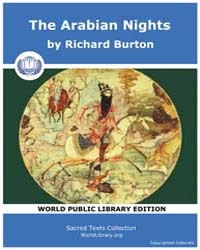 Description: The stories of ?The Arabian Nights ? (and stories within stories, and stories within stories within stories) are famously told by the Princess Shahrazad, under the threat of death should the king lose interest in her tale. Collected over the centuries from India, Persia, and Arabia, and ranging from adventure fantasies, vivacious erotica, and animal fables, to pointed Sufi tales, these stories provided the daily entertainment of the medieval Islamic world at the height of its glory. No one knows exactly when a given story originated, and many circulated orally for centuries before being written down; but in the process of telling and retelling, they were modified to reflect the general life and customs of the Arab society that adapted them—a distinctive synthesis that marks the cultural and artistic history of Islam. This translation is of the complete text of the Mahdi edition, the definitive Arabic edition of a fourteenth-century Syrian manuscript, which is the oldest surviving version of the tales and considered to be the most authentic.